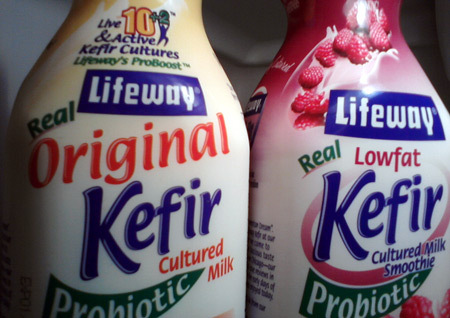 Wow, Lifeway kefir cultured milk is “real” kefir! I’ve never bought the plain flavor of Lifeway kefir cultured milk in the past, only the fruit flavored ones and they all display images of delicious fruit on their sleeves. 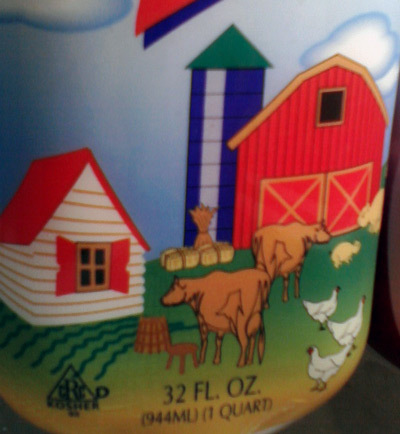 So I was quite surprised to see cows on the plain yogurt sleeve. But hey, what’s more natural than the animal where this yogurt originally came from to illustrate the plain flavor? 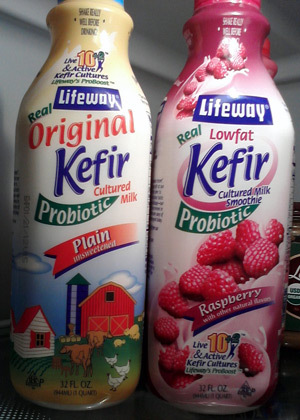 Well, I’d never have questioned this, but thanks for telling me I bought “real” kefir, Mr. Lifeway! Can you imagine buying a bottle of anything made with milk that reads “fake”? Oh wait, this reminds me of the hilarious La Creme ads competing with the “fake” non-dairy creamers. Oh, and this other post about La Creme. And this one too. Do you remember that? Do you see the La Creme products in your store? Previous Post Holy cow, meet the latest baby cow triplets! Next Post Get a puzzle map of 50 United States, see a cow. Can you guess on which state it is?